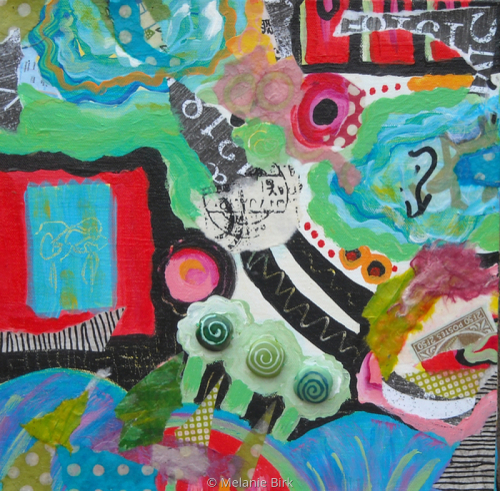 Mixed media on canvas. 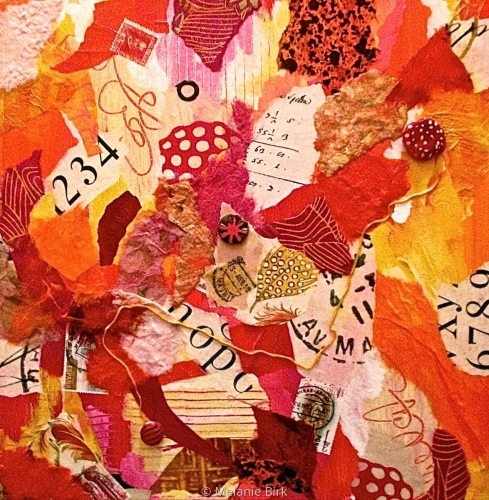 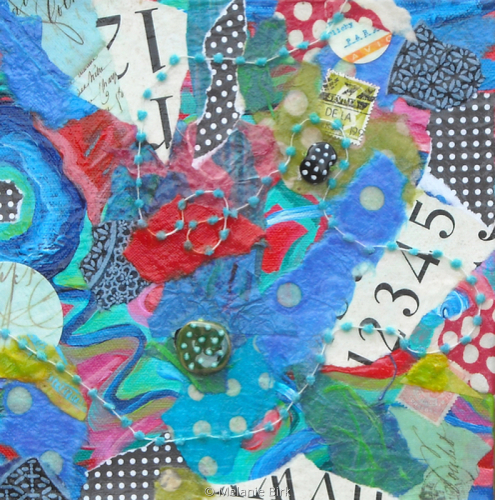 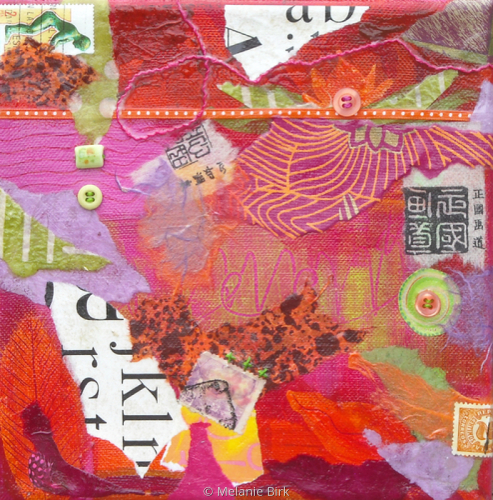 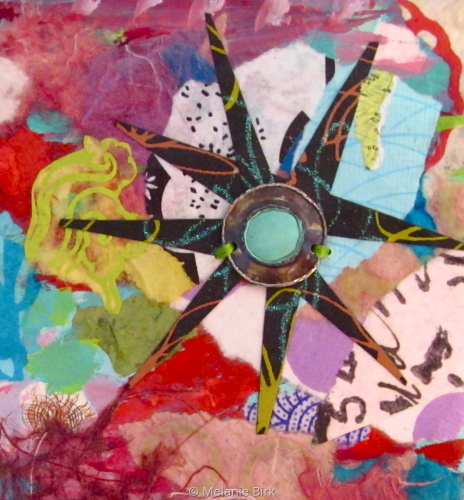 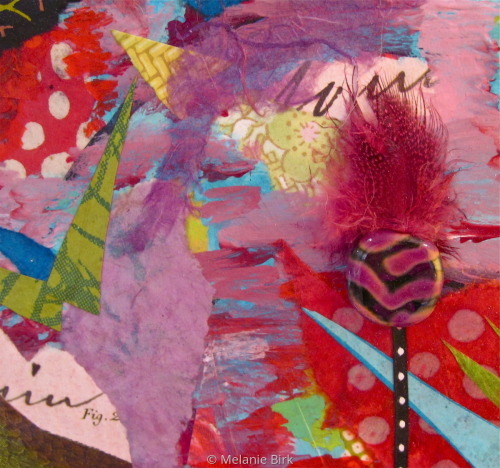 Features paper, thread, buttons, beads and acrylic paint. 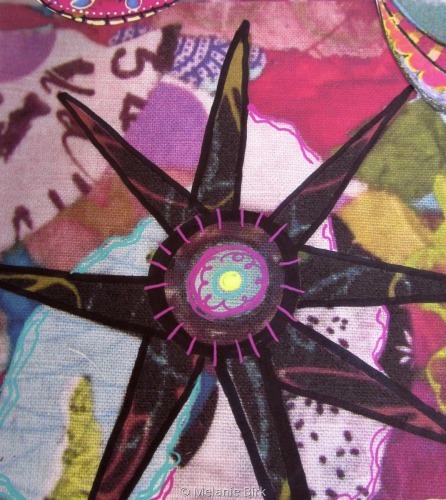 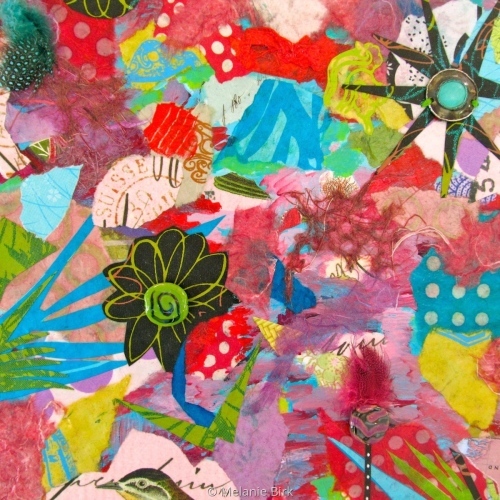 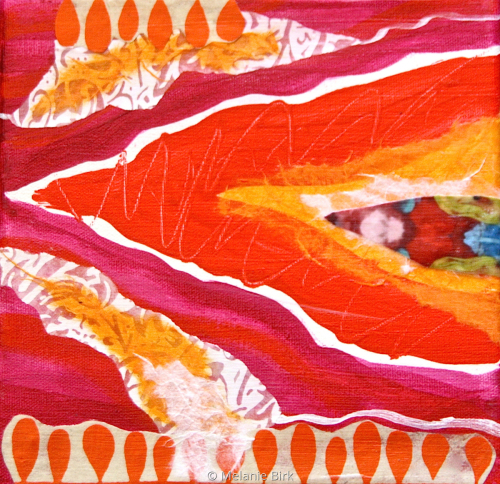 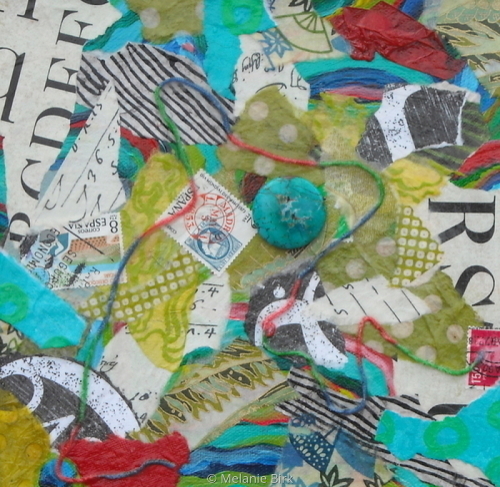 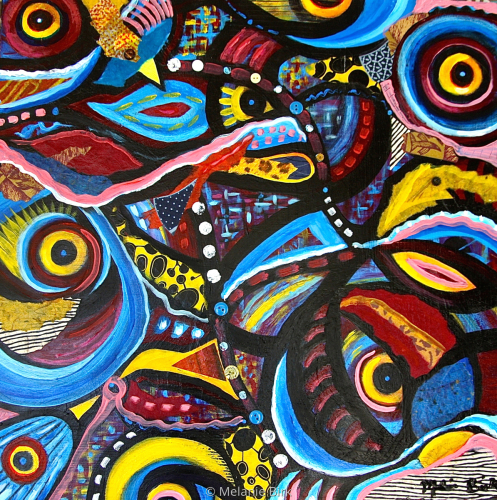 Abstract Mixed Media, 2011, part of Rainforest series. 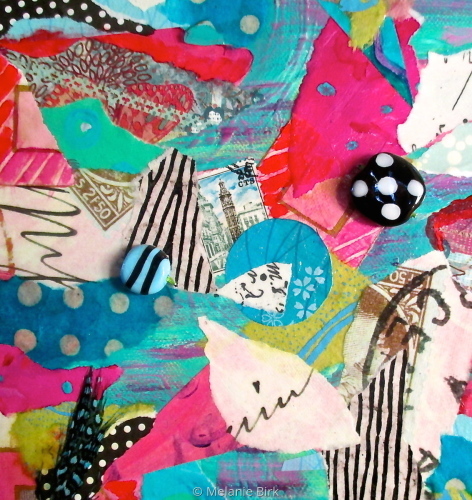 Abstract Mixed Media, Melanie Birk original. 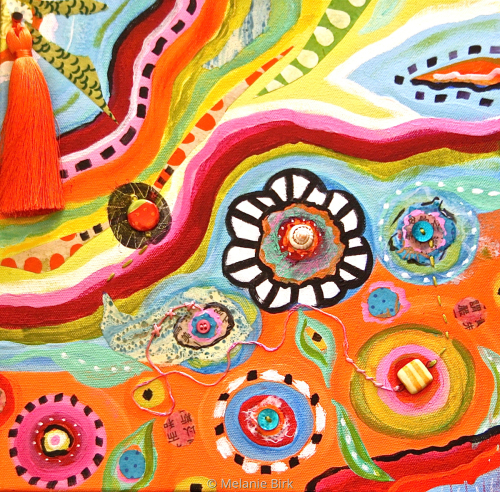 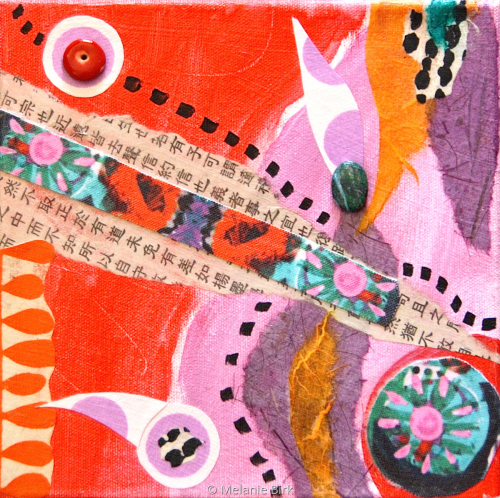 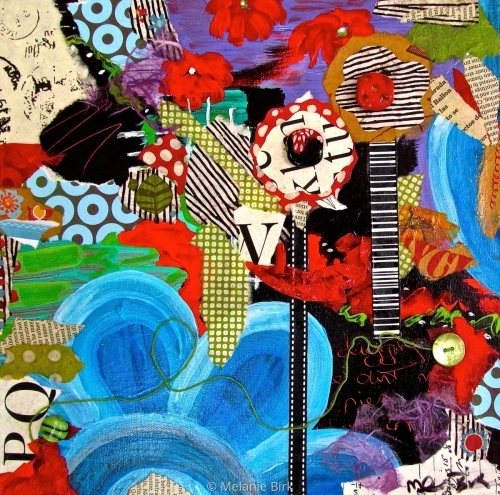 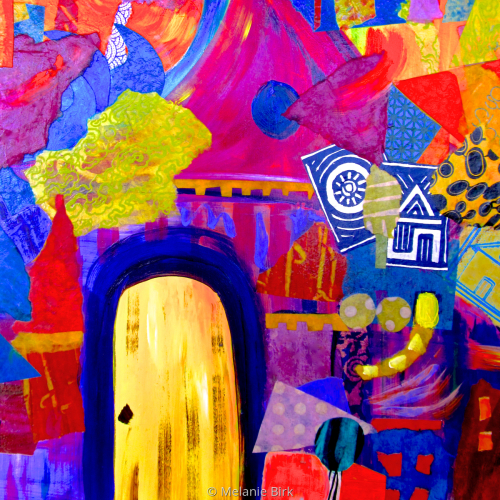 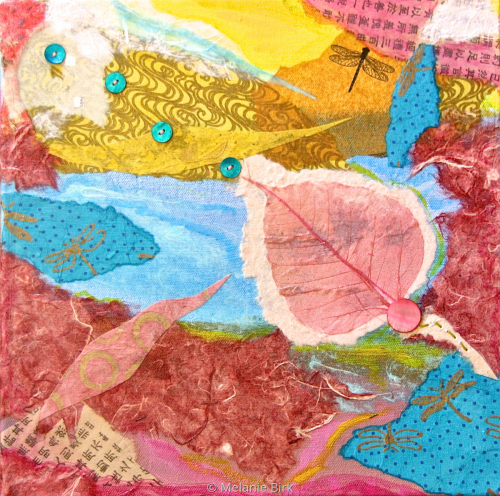 Abstract Mixed Media on canvas, Melanie Birk.